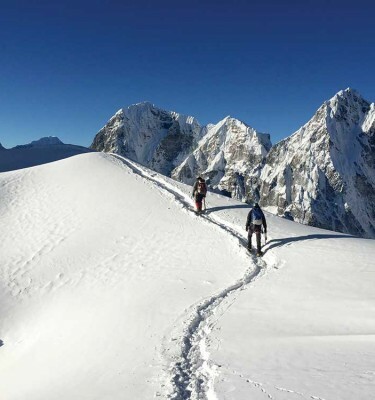 Adventure Peaks has had excellent success on 8000m Peaks Cho Oyu in 2013 & 2014 with all team members reaching the summit giving 100% success compared to our normal average of 80% success rate. Everest 80%. Shishapangma, the world’s 14th highest peak and the lowest of the world’s fourteen 8,000m peaks, lies in Tibet and is now regarded as one of the easier 8000 metre peaks alongside Cho Oyu, Broad Peak and Gasherbrum ll. We follow the original North-West Ridge first climbed by the Chinese in 1964. The expedition is a professionally-led expedition. 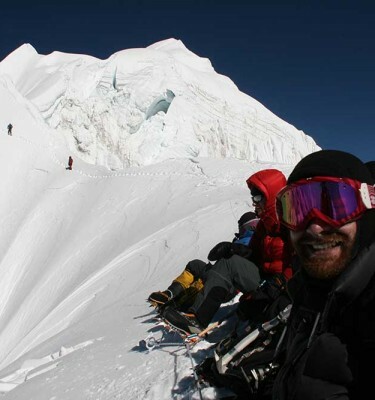 This means you will have a strong leader who has extensive experience of climbing at high altitude together with the support of our experienced Sherpa team. You should have suitable experience to enable you to move between camps and on fixed lines as part of a group without being independently guided in the traditional sense. Camp 1 (6400m) The route from ABC takes 6-9 hours on the first journey. This is likely to reduce considerably with improved acclimatization, however for the first journey we would establish an intermediate camp. The route is never steep but early in the season we have to negotiate the crossing of penitents (ice pinnacles) to gain the main slopes. Fixed lines are used along the more crevassed areas. 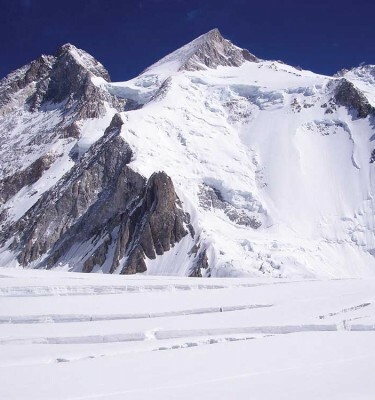 Camp 2 (6950m) is established at the Col below the NW ridge and is about 5-8 hours above camp 1. The ascent is quite steep initially before easing off as you move towards the Col.
Camp 3 (7400m) Leaving camp 2 we cross a large plateau before the slopes start to increase to about 15 degrees and the final 2000m headwall to camp 3 is at about 30-40 degees. Camp 3 will be our lauching pad for the summit. Summit Day (8013m) We will set off from the high camp at around 10.00pm in order to reach the Central West Summit 8006m around first light. 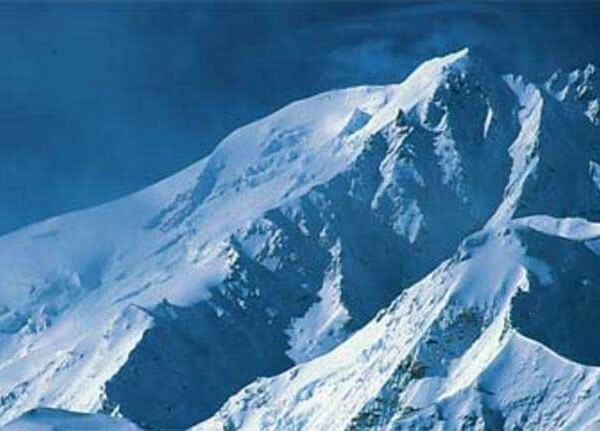 Very few climbers have reached the “true summit” of Shishapangma, which is perched further along a difficult double-corniced snow ridge that requires delicate traversing on a knife-edged snow ridge. 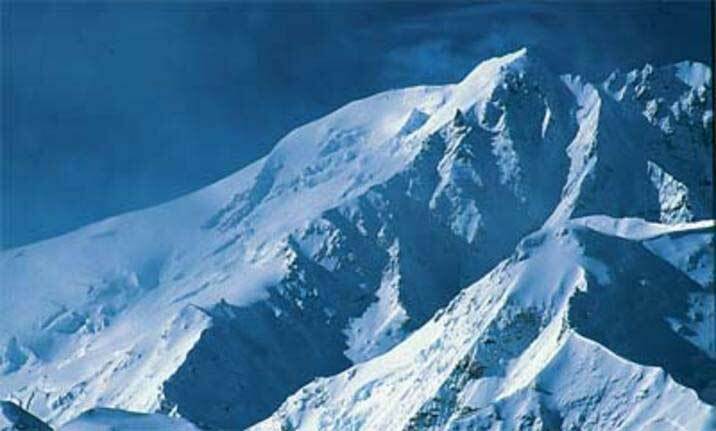 We are intending to climb this to the true summit of Shishapangma which is the East peak but it will be defendant on conditions. Both summits of Shishapangma is a truly outstanding viewpoint and offers magnificent views of Everest, Lhotse, Cho Oyu and Tibet! Oxygen Cost – The prices are inclusive of mask, regulator and uplift to top camp and NOT just the cylinders. International return airfares from the UK (unless Land Only). Hotel/airport transfers (unless Land only). All communal equipment necessary for the climb. All costs for yaks to move the team’s equipment to advance base camp. Adventure Peaks 120 litre kitbag or logoed fleece. Costs associated with extending a trip due to bad weather or other circumstances, including the cost of extra nights accommodation.